WOW! All of these are fantastic! I am loving this interesting gallery. So many fabulous shots of the Shacks. Such an impressive buildup of images in this gallery. The color palette is mesmerizing. What a fascinating story here Peter. Most fascinating. Great shots to get the character of the shacks. Well done. What a wonderful gallery! V.
Great collection. Fabulous colors, use of light/shadow and composition. Fascinating story of the culture here. A most enjoyable gallery Peter! These images are brilliant. What a stunning atmosphere you have captured. We would like to know where this is. Fantastic gallery, Peter, terrific colors! V.
Again, a wonderful series of images. Enjoyed watching them. Please more...V! A superb series. 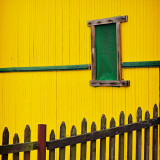 You have a great eye for compositions and colors. V.
Magnificent gallery of this picturesque location. V.
A superb work on this little bit strange "waterworld". V.
A magnificent start to this gallery, six images done to perfection as I know the remainder of this gallery will be a treat to the viewers of Pbase. These are excellent, Peter. I'm looking forward to more! V.